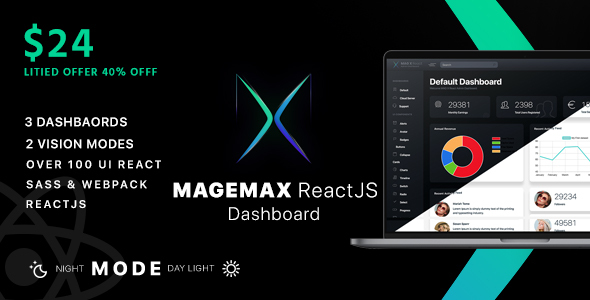 Magemax ReactJS is a modern advanced Admin Dashboard for ReactJS, with clear and modern design. It contains a set of components & modules, which you can mix and match to speed up your development process. This structured approach allows you to easily modify and support the code in the long run, if you want to add new modules and functionality. It’s a powerful and very flexible tool, which suits all kinds of web applications like CRM, CMS, Dashboards, Admin Panels etc. Fully responsive design, looks great on any type of devices – mobile and tablets. The Template is well structured which makes it easy for you to customize it. The main “Theme” file contains variable style parameters like colors in 2 modes “day” and “night” where you can change them easily. 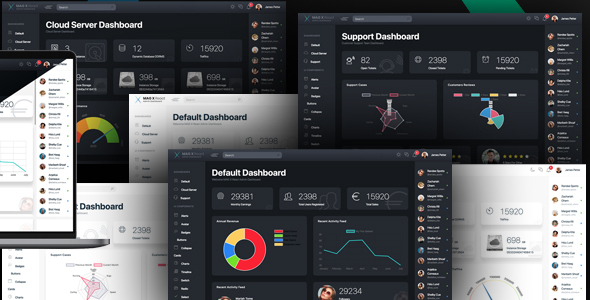 Template contains 3 Unique Dashboard Styles and offers user-friendly experience. The photos used in the preview demo are not included in the main download file, they are only for the preview purpose.